The AOR AR5001DB wideband communications receiver covers 40 kHz to 3150 MHz (less cellular) in: USB, LSB, CW, Wide FM, Narrow FM, AM and AM Synchronous modes. APCO P-25 mode is available optionally. 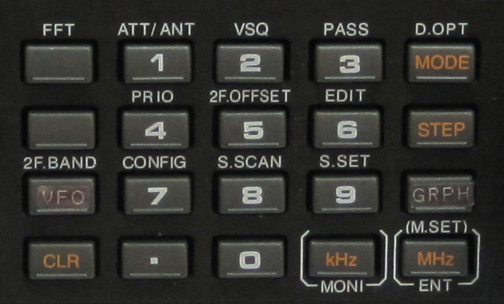 2000 Alpha memories store frequency, mode, step, de-emphasis, AGC mode, CTCSS, DCS, auto notch, antenna port and attenuator settings. Bandwidths are: 200 Hz, 500 Hz, 3 kHz, 6 kHz, 15 kHz, 30 kHz, 100 kHz, 200 kHz and 300 kHz (-3 dB). There are two dual frequency modes. 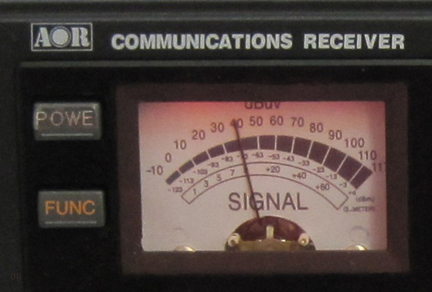 In the dual offset mode you can listen to two frequencies in the same band (± 5 MHz). In the regular dual frequency mode you can listen to a VHF/UHF frequency and an HF frequency, even if different modes. The special tri-frequency mode allows HF reception combined with the dual offset mode! 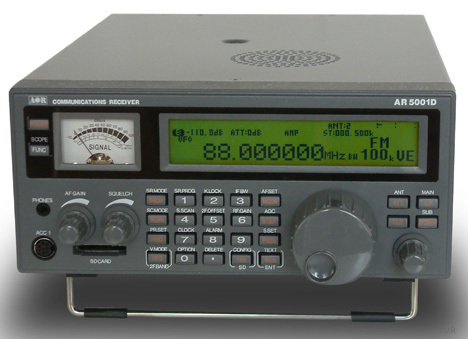 This radio features five VFOs, DTMF tone decode, CW pitch control, Auto notch, noise reduction, noise blanker, keypad entry, a precision signal meter and SD card port. It also has a high resolution spectrum display function. The AR5001D comes with well filtered DC supply, manual and SD card. We had an opportunity to test-drive the new AR5001D here at Universal on June 15, 2010 and we were most impressed! 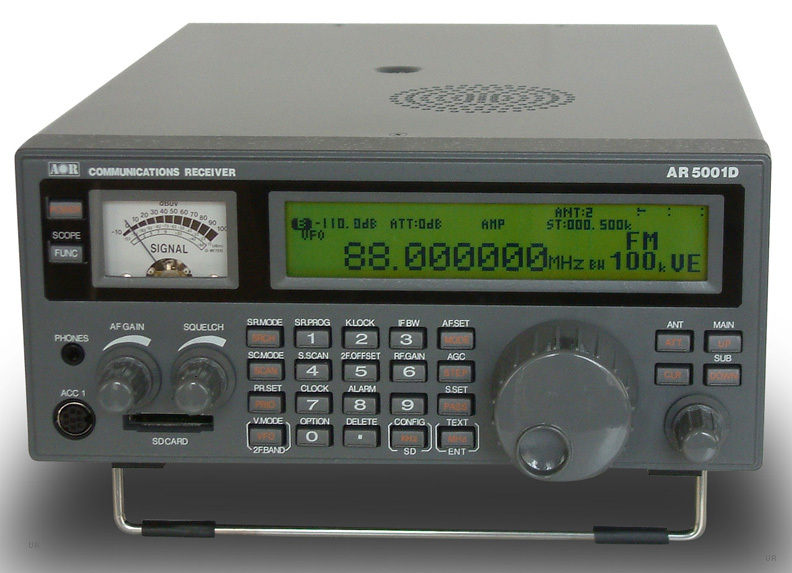 The AR2300 is a Black Box version of this receiver. The AOR AR5001DU unblocked model is the same as above, but without the 824-849 / 869-894 MHz cellular gap. It additionally has built-in voice-inversion descrambling. This unblocked version can be purchased via government or qualifying commercial purchase order or for export only. Not available for online ordering. The AR5001DU is available by special order now. #5508 Mobile mounting bracket. T.B.A.